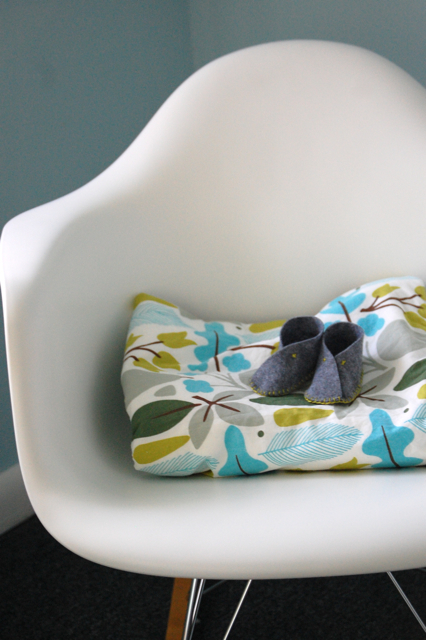 Over the weekend, I finished up this quick DIY project from the Purl Bee. 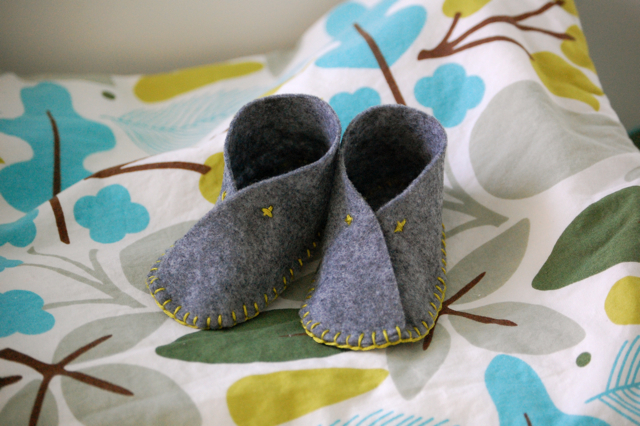 Tiny felt baby shoes. You probably already have all of the supplies, and these are super fast to make. 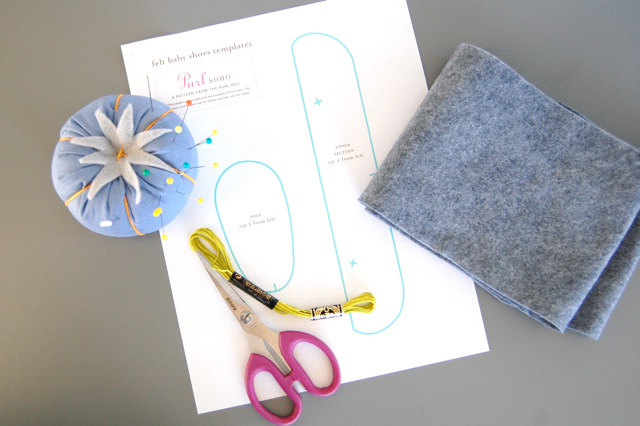 You just need a small amount of wool felt, embroidery thread, a tiny bit of 1/4" wide elastic, scissors, straight pins and the printable template. I saw this tutorial last week and thought that they were downright adorable. I'm glad to hear that they were easy to make too- and I love your color combination. LOVE them! My mom was just telling me about these last week & that she's planning on making a few pairs for my sister's baby!